The Volunteers are the outstanding members who are part of the Elfpack Crew, without being on the Council. They help out with various aspects of maintaining Elfpack. The hard work and dedication of the combined Volunteers and Council is what enables Elfpack to be ran smoothly and keep things in order. 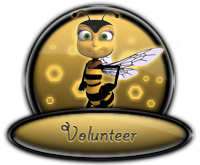 The Volunteers work directly with the members of the Council and thus are also considered to be members of Elfpacks' staff. 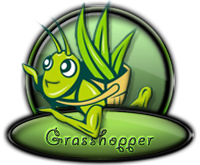 Volunteers who work diligently become Grasshoppers, to show that they go above and beyond the role of a normal Volunteer in helping Elfpack. 2012-03-31 [HeAVenShallBuRN]: I don't get a +1? 2012-04-24 [Cerulean Sins]: Second in command? I'm confused by this because I don't think there is a second in command, [sammie h!]. [Celle], [Lina] and [Flisky] may have good reasons not to be on Elfpack. Real life comes before Elfpack, everyone on the crew, council and guards knows this. I'm sure they will come back online any day now when they have their real life all sorted out. So no worries, yeah? 2012-05-02 [Stephen]: @Sammie: Well, [Lina] works on Elfpack Chat. That doesn't even require her to log on Elfpack to do so. So her position doesn't require her to be active in site. [Celle] and [Flisky] both work at the Elfpack Daily Poem, so it's the person who's head of that position to keep track on who on their staff is and is not online, and why that is. Of course, if you have any issue with any department in Elfpack and how it's running you can privately message me and I will discuss it with you when I have the chance to do so. Pointing out when you feel someone is doing something wrong in public serves to make people unhappy and feel attacked and offended. It's always best to say things like that in private messages.